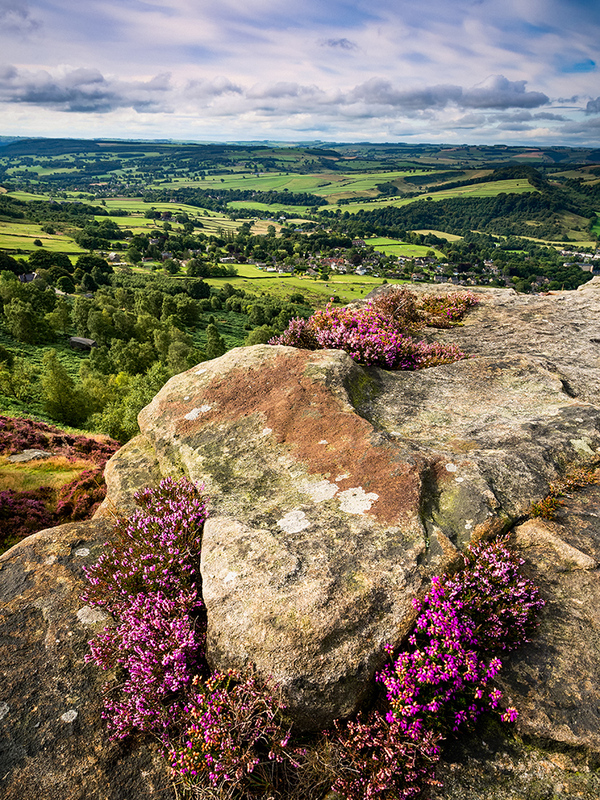 Curbar Edge in the Peak District. Olympus EM5, f/8.0, ISO200, 1/13″, Lee 0.6 ND Grad. Click image to enlarge. For those readers that don’t know, I live in an area known as Saddleworth in the North West of England. It can be quite a harsh environment but it can also be quite beautiful, cutting into the top edge of the Peak District. Despite having easy access to the Peak District I seldom photograph there, preferring instead to drive up to the Lake District which I know very well indeed. If you are wondering why I do this, it’s because I have the local knowledge in the Lake District gathered over many years and having climbed most if not all of the mountains (some many times). In the Peak District I am at a disadvantage as I seldom walk there and there isn’t much good reference material to research. Consequently I find that I seldom shoot any images that I like, which sort of reinforces my reason for not going there in the first place. Hopefully all this is about to change. You see I came across the book “Peak District Through the Lens” which is a location guide for Photographers. Not only does it cover all the best locations but gives a wealth of related information about access and the best times to photograph. It’s by far the most fact filled book of this type that I have seen and I think it’s going to save me many years of on foot research. If you’re thinking about visiting the Peak District for photography I would encourage you to check out this book. The link to the author’s site where you can buy the book is shown below. You can also purchase the book from amazon.co.uk with this link. At the time of writing this it has 57 reviews and all are 5 stars and in my opinion well deserved.